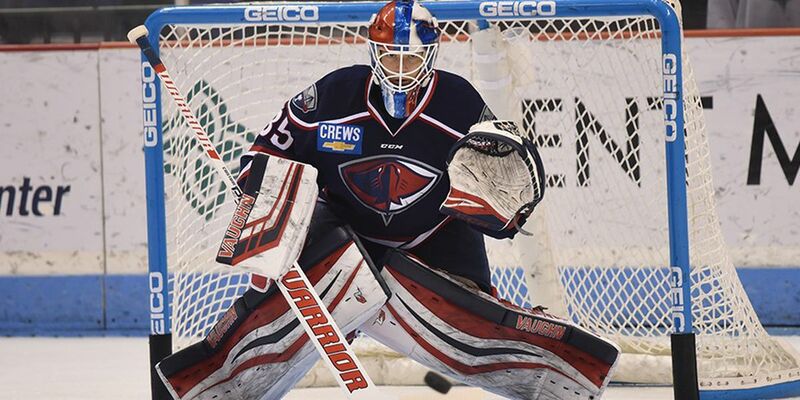 DULUTH, Ga. - The South Carolina Stingrays (10-8-0-0) held on to a late lead, killing off a major penalty to preserve a 3-2 win over the Atlanta Gladiators (5-9-2-0) on Friday night at the Infinite Energy Center. Forwards Tad Kozun, Patrick Gaul and Grant Besse each scored goals, while Parker Milner picked up the win with 23 saves and defender Joey Leach added two assists. 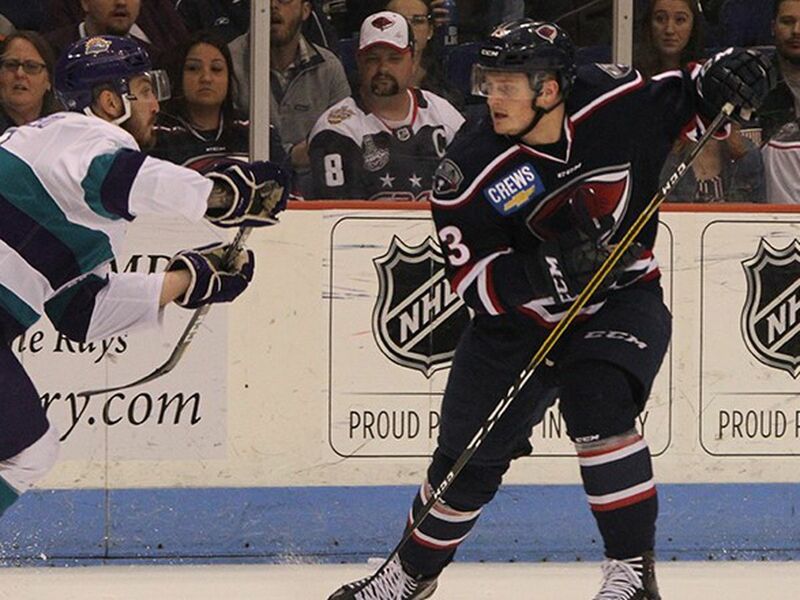 Atlanta got off to a fast start when Brett McKenzie scored to make it 1-0 Gladiators at 1:14 of the opening period. 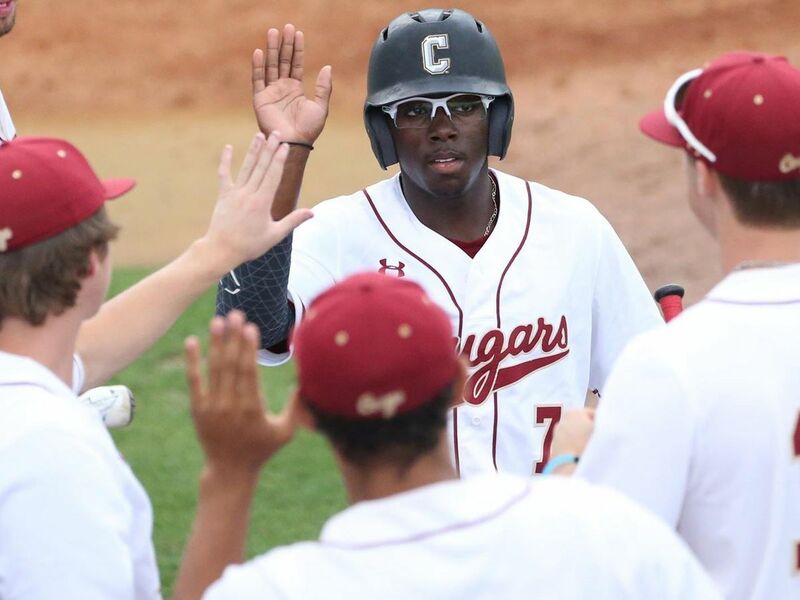 South Carolina responded when Kozun scored for the second consecutive game. Kozun’s third of the season came shorthanded at 13:15 with assists to Sam Fioretti and Joey Leach. The Stingrays had a 14-7 advantage in shots on net at the end of the first before completely dominating the second frame, out-shooting Atlanta 17-0. 16 of the shots were stopped by goaltender Miroslav Svoboda, but Gaul found the back of the net with one minute left in the period (19:00) to give South Carolina their first lead of the contest. Gaul redirected a perfect setup from Nick Roberto for his second tally of the season. For the second consecutive goal, Leach added the second assist on the play. A penalty to Atlanta’s Jake Flegel for high-sticking 19 seconds into the third period gave the Rays an early power play and Besse struck eight seconds later with the game-winning goal. The tally came 27 seconds into the third, with assists by defenseman Tim Davison and forward Jonathan Charbonneau. After Kozun was assessed a major penalty for elbowing at 14:40, Branden Troock got Atlanta one closer at 17:17, making it a 3-2 game. But the Rays defense didn’t allow anything further during the penalty kill and held on to take the victory. Svoboda finished the contest with 35 saves in a losing effort after South Carolina out-shot Atlanta 38-25 in the game. Both teams scored once on the man-advantage, with the Stingrays finishing 1-for-6 while the Gladiators ended at 1-for-4. The Stingrays are back in action on Wednesday in Florida to battle the Everblades in the first of a 3-game series at 7:30 p.m. South Carolina will return home next month with some big games including Social Media Night on Dec. 7 and Teddy Bear Toss on Dec. 8.